If you are looking for a casual but authentic, friendly atmosphere and want to experience amazing meats marinated in Somalian flavors and spices, you cannot miss out on enjoying this hidden gem. You are greeted with a banana and pitchers of mango and guava juices that comes with every meal. 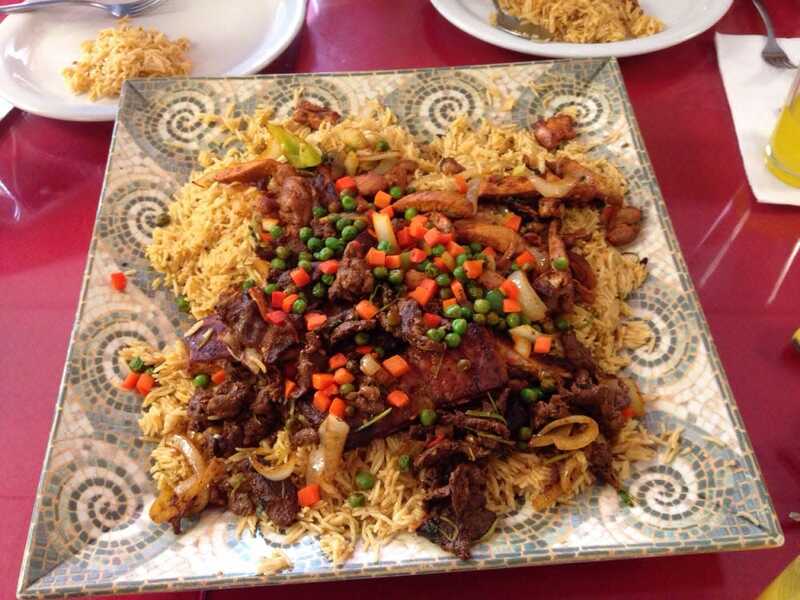 There are choices of chicken, beef, and of course the traditional goat meat which is a must-try if you have not had this palate-pleasing dish. 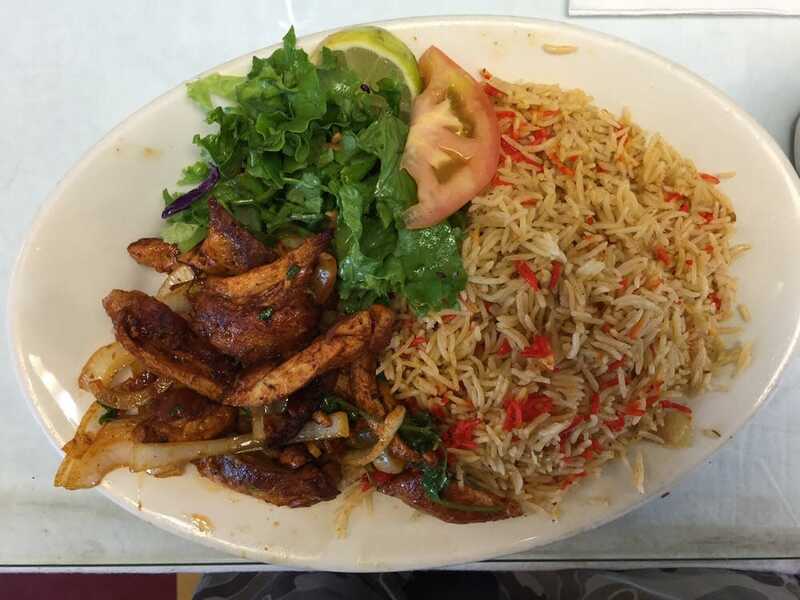 Every large portion is served with delicious basmati rice and salad. The staff is happy to help with suggestions and may even assemble a combo plate served family-style if a little bit of everything is what is in order. 100% Halal. Salaama opens at 8am every morning and breakfast selections are also available.